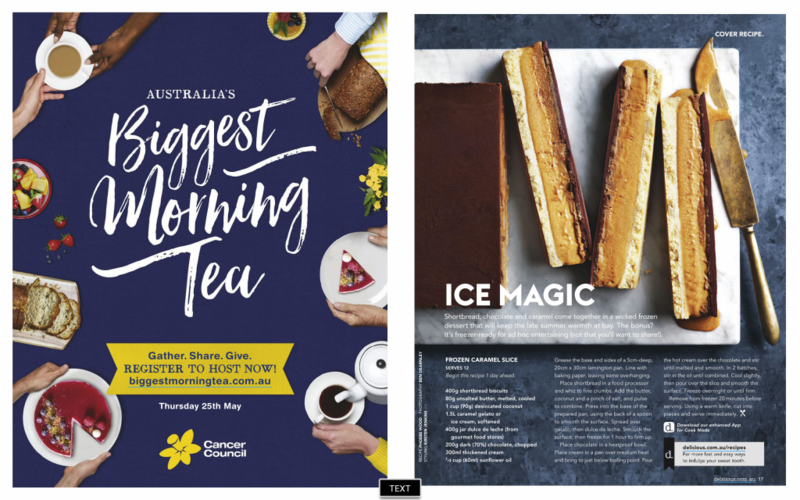 You could save $100’s of dollars a year by subscribing to digital magazines for free via your Australian local or state public library and reading them on your Android tablet. Many Australian public libraries subscribe to an online service called Zinio For Libraries. Zinio for Libraries enables members of these Libraries to access the latest issues and back issues of full-colour interactive digital magazines. Browse your library’s collection of popular titles with no checkout periods and no limit to the number of magazines you’re allowed to download. Each public library will have different magazines available via their Zinio for Libraries subscription. For example City of Melbourne has 12 pages of magazines in it’s Zinio catalogue compared to a much more generous 30 pages for Public Libraries Western Australia. Magazines can only be downloaded to on-board storage not memory cards. Magazines take up storage space, remember to delete them from your Android tablet and remove them from your Magazine Collection once you’ve finished reading them. Most magazines range between 50 and 100 megabytes but graphic-heavy magazines are larger and may range between 100 and 300 megabytes or more. 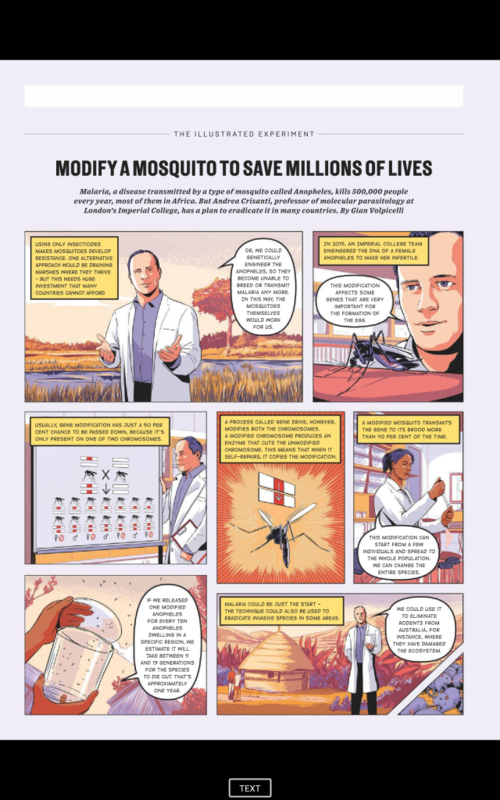 If many people check out a particular magazine issue before you try to, you have to wait for some of them to check that issue out so you can check it out to read it. While you can install Zinio for Libraries on an Android phone, I really recommend using it on a tablet, ideally 10 inch size for ease of reading. 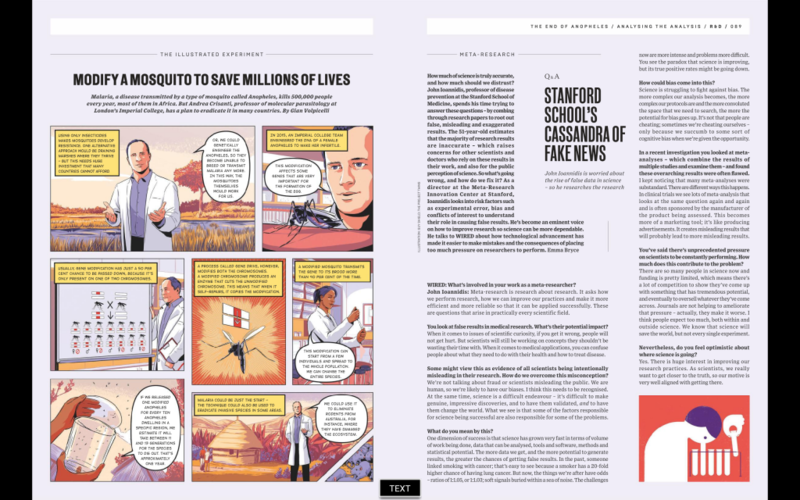 The magazines are exact digital page by page replicas of the print edition so they don’t reflow to fit better on a small screen. 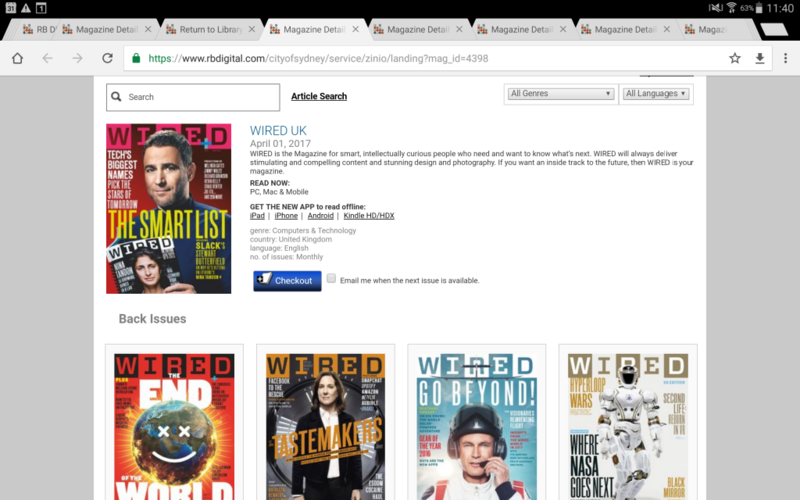 International magazines may be the UK or USA issue (like the Wired UK example below) rather than the local issue customised for Australia. Depending on your point of view you might find this a pro or a con. The Zinio for Libraries app shows two pages side to side if your tablet is held horizontally, or one page top to bottom if you hold your tablet vertically. 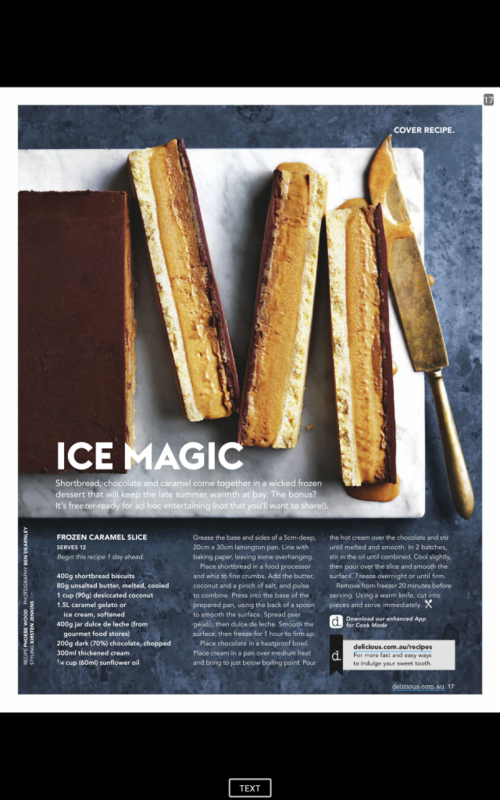 I usually read with my tablet held horizontally, but switch when required eg to look at the details of a WIRED magazine infographic or see the Delicious magazine recipe details of how to make a delicious frozen caramel slice. The ACT, South Australia, Tasmania, Western Australia and the Northern Territory subscribe to Zinio for Libraries at the entire State/Territory level which makes things much simpler for their residents and gives them more buying power. 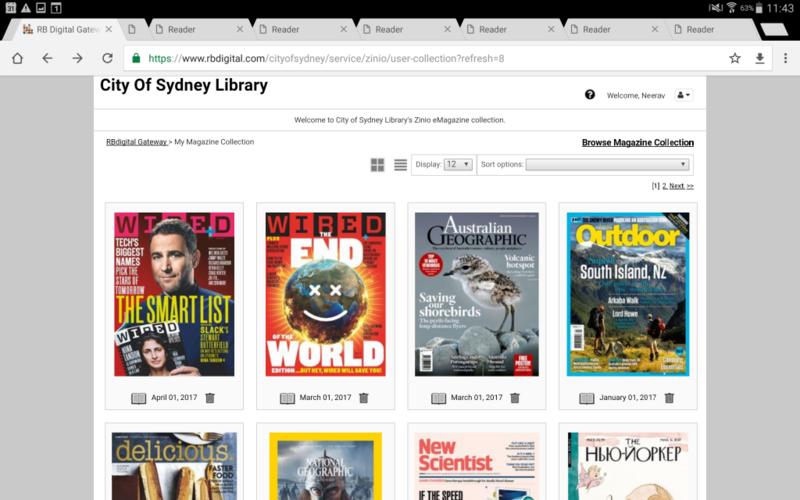 New South Wales, Queensland and Victoria inefficiently leave it to individual council libraries to subscribe to Zinio for Libraries depending on their budget/care factor about providing plenty of digital resources. I’ve linked to some of the bigger city and state Zinio for Libraries subscription pages, if you are in one of the Eastern mainland States (NSW, QLD, VIC) you will have to check your local council library website for the word Zinio, or ask your local library branch if they have free digital magazine/e-magazine access for members. If you’ve never used your public library services, you will have to contact them and join up before you can access Zinio for Libraries. 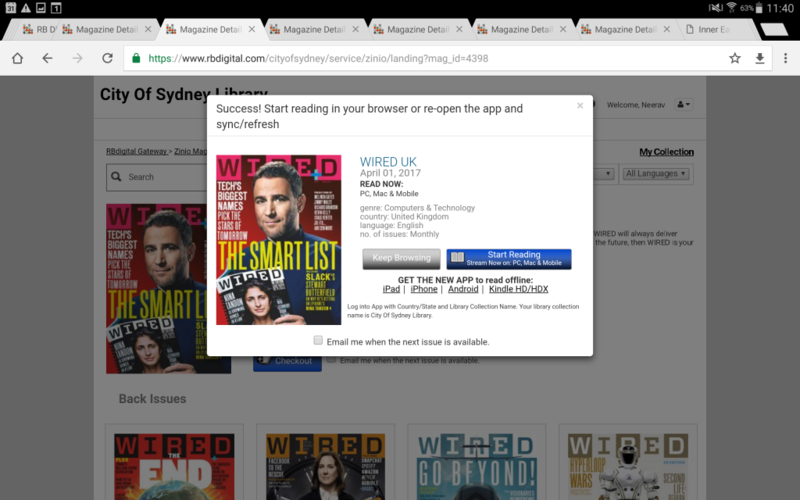 Once you open the Zinio Catalouge for your public library, click on CREATE AN ACCOUNT. You will be asked for your library card number or barcode. Then the next step will ask you to supply an email address password etc. If you get asked to create a Zinio reader account after trying to check out your first magazine, you must use the same email address (and for simplicity sake it is easiest to use the same password). 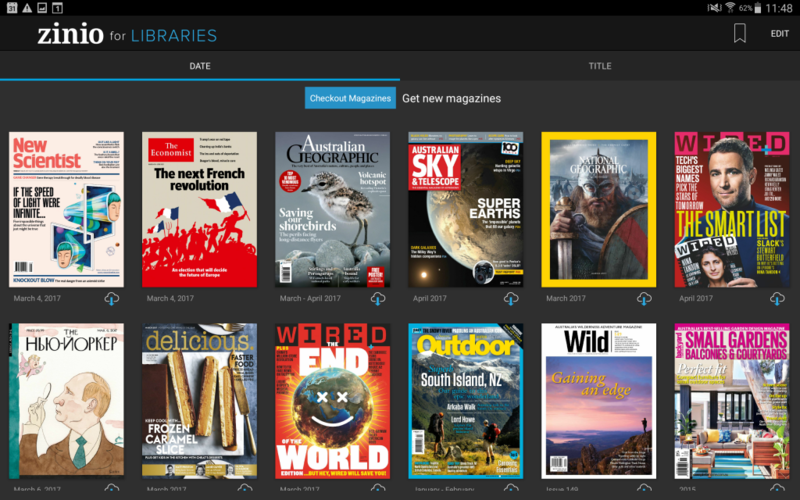 Then you need to install the Zinio for Libraries app on your Android device.